The Indonesian massacres of 1965-1966 claimed the lives of an estimated half a million men, women and children. Histories of this period of mass violence in Indonesia’s past have focused almost exclusively on top-level political and military actors, their roles in the violence, and their movements and mobilization of perpetrators. 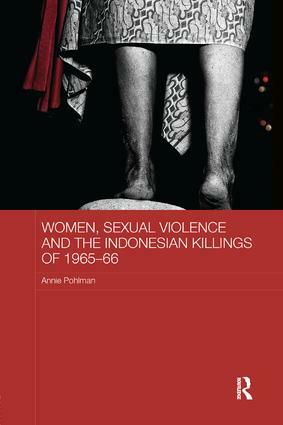 Based on extensive interviews with women survivors of the massacres and detention camps, this book provides the first in-depth analysis of sexualised forms of violence perpetrated against women and girl victims during this period. It looks at the stories of individual women caught up in the massacres and mass arrests, focusing on their testimonies and their experiences of violence and survival. The book aims not only to redress the lack of scholarly attention but also to provide significant new analysis on the gendered and gendering effects of sexual violence against women and girls in situations of genocidal violence.